PIQUA — Officers from the Piqua and Sidney police departments served a narcotics-related search warrant on Roosevelt Avenue in Piqua on Tuesday, recovering suspected drugs and resulting in a drug trafficking arrest. 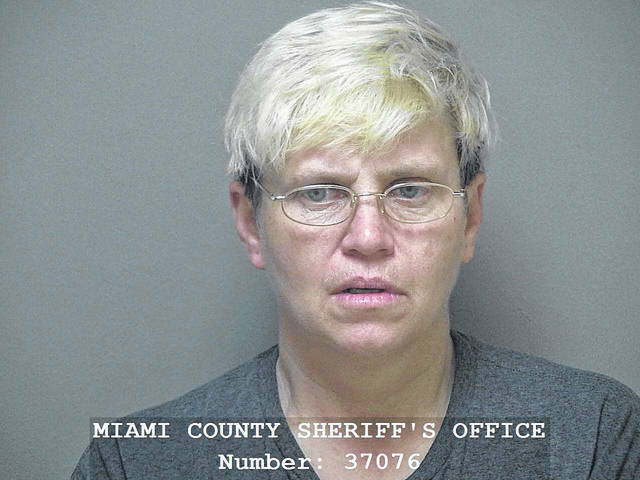 Melissa L. Olds, 52, of Piqua, was arrested on first-degree felony trafficking in drugs for reportedly being found with 18 grams of methamphetamine. She was arraigned on that charge in Miami County Municipal Court on Wednesday morning. The search warrant was executed at 213 1/2 S. Roosevelt Ave. on Tuesday at approximately 9 a.m., according to the Piqua Police Department. The residence was also within 1,000 feet of the Piqua Catholic School’s south campus on Downing Street. The officers also uncovered additional suspected drugs in the search. According Miami County Municipal Court records, they also found a pouch containing a plastic baggy with six bindles of suspected heroin, two plastic baggies containing suspected cocaine, a plastic baggy containing suspected crack cocaine, a plastic baggy containing suspected heroin, and a plastic baggy containing suspected LSD. Suspected marijuana was also found at the residence. Numerous drug paraphernalia were also reportedly found at the residence, including digital scales, syringes, and a cocaine pipe. All of the items and suspected drugs were sent to the Miami Valley Regional Crime Laboratory for analysis. Olds is continuing to be held in the Miami County Jail on $25,000 bond. A preliminary hearing for Olds is scheduled for Oct. 10. The Piqua Police Department also encouraged anyone needing assistance in recovery to contact any officer in the police department for information on their HEART (Heroin Education and Recovery Team) program. This resource is available for any addiction, not just heroin. The police department also accepts anonymous tips through their Submit-A-Tip program. More information on these programs can be found at PiquaOhPD.org.